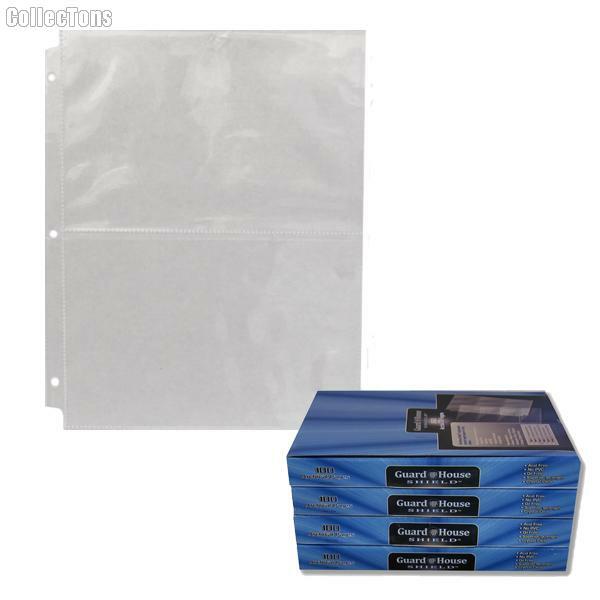 We are pleased to offer for sale this Bag of 10 GuardHouse Shield 2-Pocket Archival Pages. These Two-Pocket Archival Pages by GuardHouse have two pockets each measuring 8" x 5", and feature punches that will fit any standard 3-ring binder. These pages are perfect for photos, postcards, or just about anything that is within the 8" x 5" dimensions. These Two-Pocket Pages feature strong seams, top loading pockets, and measure 11.5" x 9.5", overall. All GuardHouse Shield pages are acid free, PVC free, and made from archival quality, heavy-duty polypropylene. 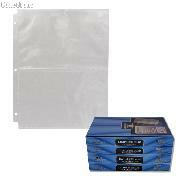 These 2 Pocket Pages offer great protection for your photos and postcards at a great price! These GuardHouse 2-Pocket pages are new from our inventory.